Ask for Pam or Pat when you want to order flags or ask questions about items from our flag store. We offer a wide selection of flags. US, State, & Country flags in various sizes. Need something special for your town or organization, custom flags also available. 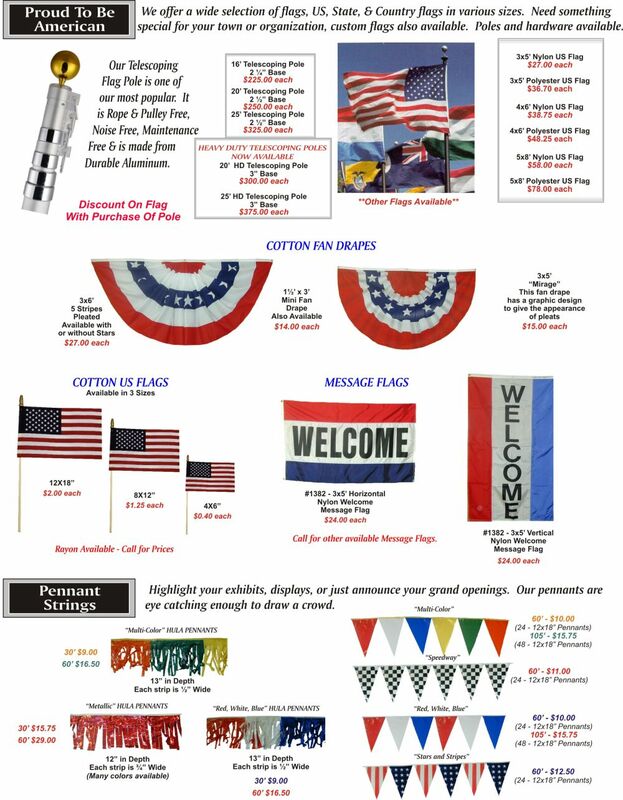 We offer a large variety of outdoor and indoor flag poles and hardware as well. Call us, we can get almost any flag. Early order discounts do not apply to flag store items.